A unique 6th century bronze lamp has been shown by an archaeologist from the Bulgarian Black Sea town of Byala to a ruling party MP as an argument for securing government funding for further excavations of a Late Antiquity Byzantine fortress located on St. Athanasius Cape on the Bulgarian coast. 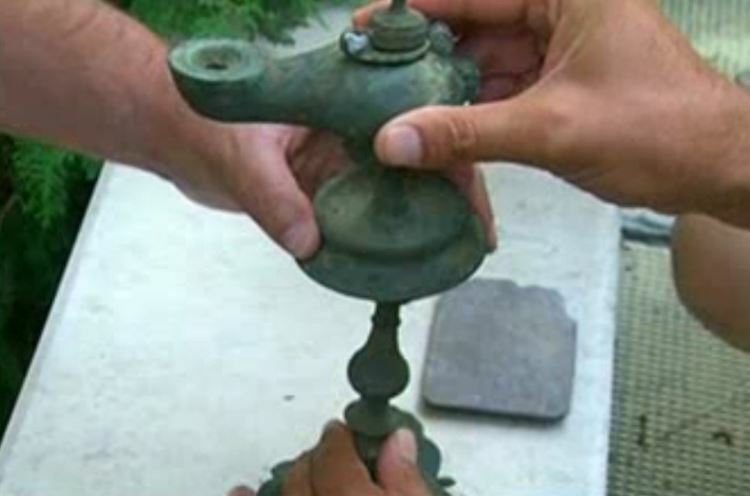 Deyan Yanchev, director of the St. Athanasius Cape Archaeological Preserve, has shown the 1500-year-old bronze lamp, also known as a candelarium, discovered during excavations of the Late Antiquity fortress back in 2013 to Pavel Hristov, a Member of Parliament from Bulgaria’s ruling center-right party GERB, who visited the Municipality of Byala, in the Black Sea District of Varna. The bronze lamp in question was discovered in a rich residential building burned down in the early 7th century, most likely in 614 AD, during the reign of Byzantine Emperor Heraclius (r. 610-641 AD), when there was an invasion by Avars and Slavs in this part of the Byzantine Empire. MP Hristov, who has also met with Byala Mayor Anastas Trendafilov, has pledged support for securing funding from the Bulgarian government for the continued excavations of the fortress on the Cape of St. Athanasius near the town of Byala, reports the Bulgarian information agency Focus. According the archaeologist and the mayor, BGN 50,000 (app. EUR 25,500) are needed to fund the 2015 summer excavations of the ancient Black Sea fortress, which is also the site of an older Ancient Thracian settlement and features traces of Copper and Bronze Age life. “We are counting on the support of the Ministry of Culture because the Early Christian center on the Cape of St. Athanasius reveals the invaluable cultural heritage of Bulgaria," Byala Mayor Anastas Trendafilov is quoted as saying. He points out that the Byala Municipality has invested over BGN 1.5 million (app. 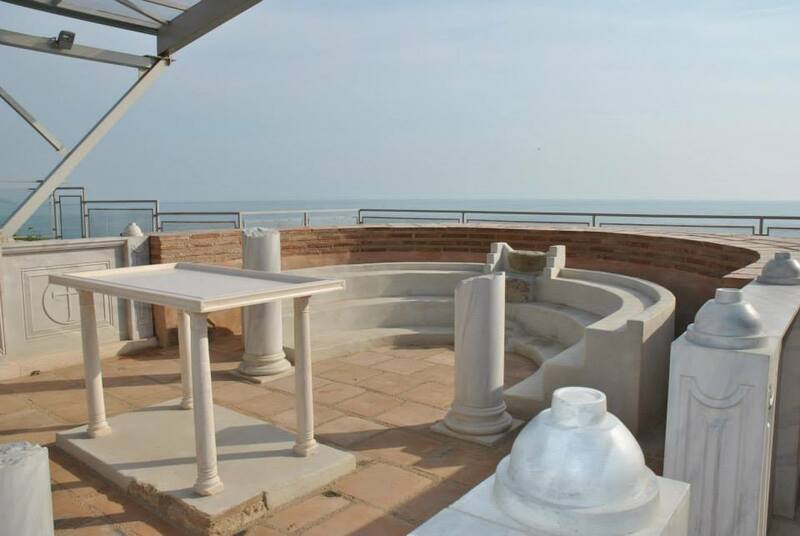 EUR 767,000) in the excavations of the fortress over the past 7 years. The fortress and ancient town have been restored with a total of BGN 5.4 million (app. EUR 2.76 million), most of which was EU funding for cultural tourism and sustainable regional development. “[These investments] have paid off," comments archaeologist Deyan Yanchev who is in charge of the Byala archaeological complex. 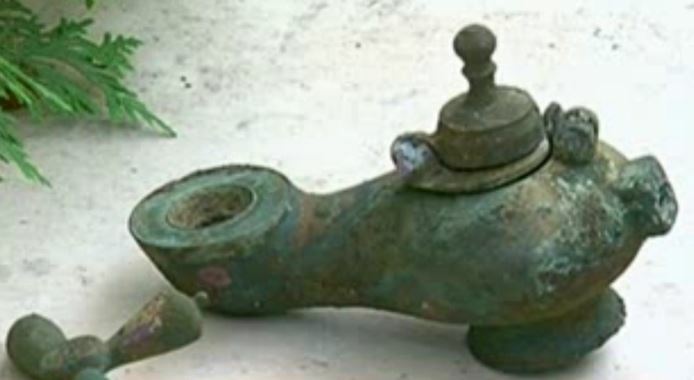 To support his request for government funding for further excavations, Yanchev has shown the MP one of the most impressive artifacts ever found in the Late Antiquity fortress on the Cape of St. Athanasius – the bronze table lamp dating back to the 6th century. 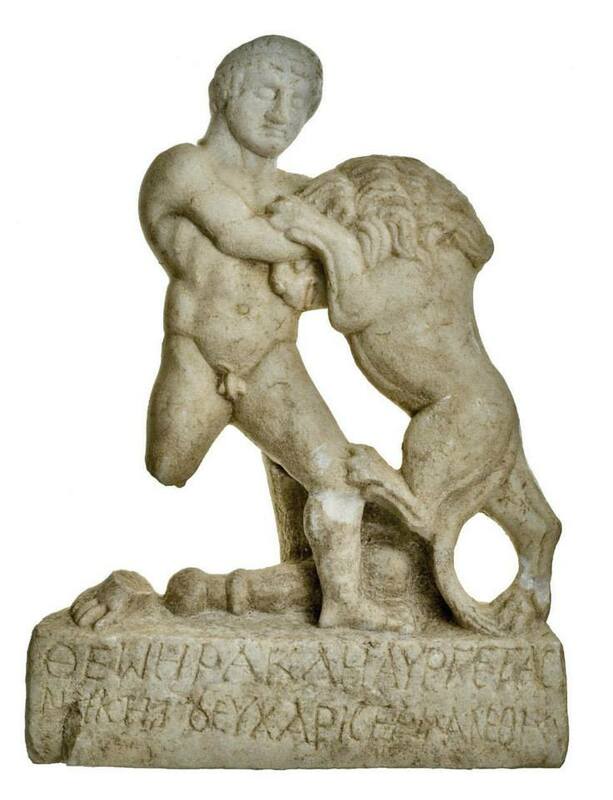 “The only other such artifact in the world is kept in the Metropolitan Museum of Art in New York City," points out the head of the Byala archaeological preserve. Yanchev also praises the excavations as an opportunity for students from the so called Bessarabia Bulgarians, a historic community of some 300,000 ethnic Bulgarians living in the region of Bessarabia in today’s Moldova and Ukraine whose ancestors fled Ottoman Turkish atrocities in Bulgaria during the period of Ottoman yoke (1396-1878/1912). He says that in the past 4 years Bessarabia Bulgarians from the Taraclia State University in Moldova, which is co-funded by the governments of Bulgaria and Moldova, have been participating in the excavations of the Late Antiquity fortress on the Cape of St. Athanasius. They usually remain in Byala for about three weeks, and their expenses are covered by Byala Municipality. The Late Antiquity and Early Byzantine fortress on the Cape of St. Athanasius near the Bulgarian Black Sea town of Byala, District of Varna, has been rediscovered by Bulgarian archaeologists in recent years. The fortress is located on a plot of about 40 decares (app. 10 acres), and is dated back to the 5th-6th century AD while the precise area of an ancient settlement located on the same site remains unknown. The Early Byzantine fortress has been dated more precisely to the reigns of Byzantine Emperors Anastasius I (r. 491-518 AD), and Justinian I (r. 527-565 AD). Before the excavations in recent years, the fortress on the Cape of St. Athanasius had only been known from a 1892 note by Czech-Bulgarian archaeologists Karel and Hermann Skorpil known as the founders of contemporary Bulgarian archaeology, and from a brief expedition in the 1970s. The major reason the fortress had not been excavated earlier is that a military base of the Bulgarian Army and Navy was located nearby because the location gives good command of a large section of the Bulgarian Black sea coast. The military base was closed down a few years ago, allowing the local authorities to approach archaeologists for the excavations of the site. In his writings, Ancient Greek geographer Strabo (64 BC – ca. 24 AD) mentions a fortress called Larissa, which is located south of the Greek colony of Odessos (today’s Bulgarian city of Varna) and north of the Greek colony of Naulochos (today’s Bulgarian town of Obzor). Even though no defining evidence has been found that the fortress on the Cape of St. Athanasius is in fact the fortress Larissa described by Strabo, the Bulgarian archaeologists excavating the site have discovered traces not only from ancient, but also from earlier times. The earliest finds are from the Chalcolithic (also known as Eneolithic or Copper Age) and the Bronze Age, and an Ancient Thracian religious site from the 6th-5th century BC. An Ancient Roman settlement from the 2nd-3rd century AD has also been discovered. Some of the finds uncovered on the Cape of St. Athanasius include an anti-landing rampart designed to prevent a sea invasion dating back to the Late Antiquity; a fortification consisting of a fortress wall and a moat cutting off the cape from its hinterland; an Early Christian one-apse basilica, two baptisteries, the residence of the head priest, two ceramic ovens, mural fragments and inscriptions; an ancient winery; a 6th century bronze table lamp, also known as a candelarium, found in a rich ancient residential building that collapsed in a fire around 614 AD; a stone plate for grinding powers, herbs, and cosmetic substances taken as a proof that the ancient residents of the St. Athanasius Cape practiced medicine; part of a Byzantine road; a golden ring with a model of the Rotunda of Anastasis in Jerusalem; a marble alter table produced in an imperial workshop on the Island of Paros in the Southern Aegean. The latest coins found in the fortress on the Cape of St. Athanasius as well as other traces have led Bulgarian archaeologist Prof. Dr. Valeri Yotov from the Varna Museum of Archaeology, who excavated the site, to hypothesize that the fortress near Byala was destroyed during the Avar and Slav invasion in 614 AD, during the reign of Byzantine Emperor Heraclius (r. 610-641 AD). The head of the Byala archaeological complex Deyan Yanchev has described the one-time ancient fortress as a “small port town with a substantial commercial potential". 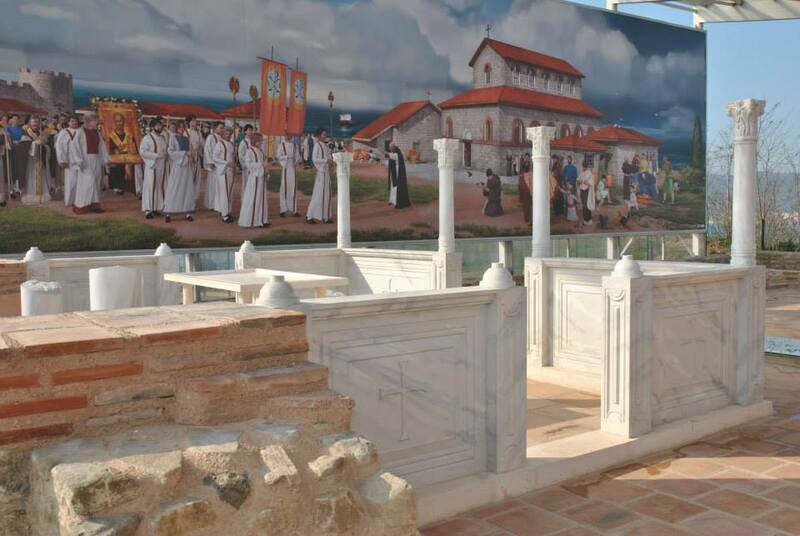 Since 2010, the ancient fortress on the Cape of St. Athanasius has been restored with a total funding of BGN 5.4 million (app. EUR 2.76 million), most of which was an EU grant provided from Operational Program “Regional Development", in order to turn it into a tourist destination.